It shouldn’t come as any surprise that there were probably a few scenes cut from the theatrical version of Suicide Squad. Some complaints from film critics reflected that there were some editing issues with the film. Much like Batman v Superman some scenes just weren’t able to make it past the editing phase of the film. Whether for time or story reasons, the film had to be somewhat trimmed down. We know that there is another cut of the film that exists somewhere. Hopefully, like Batman v Superman: The Ultimate Edition, fans will one day get to see the complete film and be able to judge for themselves as to which version of the film they preferred. The cast of Suicide Squad got the chance to sit down and discuss their favorite scenes that were cut from the film MTV International where they discussed their favorite scenes that were cut from the theatrical film. 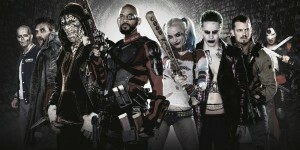 Some scenes described include more Joker scenes, a larger dance scene for Harley Quinn, and a fight between Captain Boomerang and Killer Croc. Will Smith and Jay Hernandez jokingly talk about a love scene between Deadshot and Rick Flag as well. The fight between team members seems interesting. It would add to the fact that they really aren’t friends, but bad guys placed together, and the results should be somewhat explosive. It also would further display the impact of them working together towards the end as a team as well. Of course, who doesn’t want to see more of Leto’s Joker as well? We’ll just have to wait until Suicide Squad is available for DVD/Blue Ray. Who cares about Joker’s deleted scenes?? Please give me Harley’s full stripper dance routine NOW! Heck you don’t even have to include the actual movie, i’ll pay $30 just for a bluray of that Harley scene!